I suppose you don’t play a lot of pvp then? Where if you get in a stun, the bloom can be your lifesaver. I’m really looking forward to Patch 3.2. Probably more for the PvP exp change than anything else. Isn’t moonfire the backbone of a moonkin rotation? So much that many use two of their glyphs (moonfire and starfire) to prop it up more? In any standard rotation you always keep moonfire going as you nuke. Even if you get bloodlust its a good idea to throw one out before you go to town chain-casting starfires. And since Eclipse is changed in 3.2 so both versions can proc in sequence, other idols that favor only wrath or starfire are diminished in value. 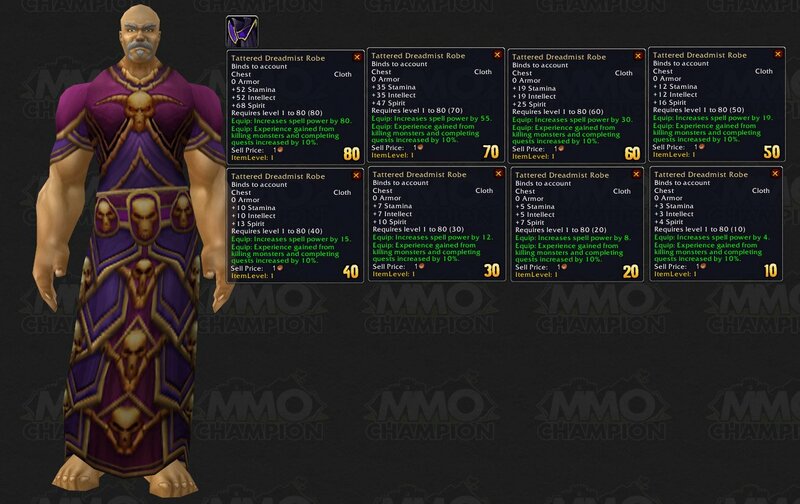 I’m very sceptical about the resto druid set bonuses also! I still think this patch is coming way to quickly – I’ve only just equipped myself into 4 pieces of tier 8, I’m not ready to give up my instant rejuv heal yet! The best part of the patch so far is the cute vanity pets (omg that raptor is adorable) and the yummy spell power idol. As much as I look forward to many aspects of 3.2, I do see your point with the new raid. 4 separate lockouts is great in theory, but it will be sorely limiting to many people who will simply have to cut other parts of their WoW time down just to make time to kill the same boss 4 times. I hope Icecrown doesn’t follow the same system. Re: Normal/Heroic splits for 10 and 25 man instances. I’d seen this as a way of addressing the “second class” nature of 10-man content, if you see what I mean. If you have 10-man Normal and 10-man Heroic, you get internal progression in 10-man raids, without needing to get 25 guys together. So many quick comments to the 3.2 patch. For starters the new druid art makes me want to resurrect my old druids! The new experience gains from battlegrounds make me want to “squee!” because I won’t feel guilty about loving BGs as I’m leveling my priest. But there are some “Oi” moments… Not major of course. Penance: Cooldown increased to 12 seconds, up from 10 seconds. I was really starting to enjoy my dual spec Disc because of this spell. I wouldn’t really consider MF a low priority spell, especially glyphed. IMO the only time I would ever let it run out and not renew it right away would be midway through an Eclipse proc. It will be interesting to see what the iCD is of the new idol because Eclipse as of now is so RnG, the extra crit should help alot when it comes to proccing. Also, I’m curious to see how the change to Eclipse will turn out with solar and lunar on different cooldowns. My xmute specialist alt will actually have a purpose??? No…… really? His cooldowns will actually be worth something??? OMG let me go stock up on blue gems and eternals so i can then turn them into purple sweet candy.